From 2000 to 2014, nearly a half million people died from an opioid overdose, 165,000 of those being from prescription narcotics. In 2016, it was estimated that 78 Americans die from opioid abuse every day. Half of these opioid-related deaths are attributed to prescription drugs. It doesn't matter if you are young or old, rich or poor, opioid abuse is a problem that needs to be addressed by the United States at large. The Centers for Disease Control and Prevention (CDC) report that overdose deaths from opioids have increased four-fold since 1999. Interestingly, the use of prescription opioids also quadrupled during this time. Is the American health care system to blame? The Drug Enforcement Administration (DEA) assigns drugs to one of five different categories, referred to as Schedules. Schedules I through V describe whether a drug is appropriate for medical use in certain conditions and whether or not it has addictive potential. It should be no surprise that heroin falls under Schedule I (interestingly, so does marijuana). Common prescription opioids that fall into Schedule II are codeine, fentanyl (Sublimaze, Duragesic), hydromorphone (Dilaudid), methadone, meperidine (Demerol), morphine, and oxycodone (OxyContin, Percocet). Schedule III narcotics include combination products containing less than 15 milligrams of hydrocodone per dose (Vicodin), products containing less than 90 milligrams of codeine per dose (Tylenol with Codeine), and buprenorphine (Suboxone). Have you ever been prescribed one of these medications? In 2001, The Joint Commission on Accreditation of Healthcare Organizations (JCAHO) released its first statement on pain management. Intending to bring awareness to under-treated pain and to improve quality of care, JCAHO made recommendations that affected how hospitals monitored, addressed and treated pain. As a result, the pain scale came into existence, and there was an increased public awareness around pain control. That, in and of itself, is a great thing. No one should be in pain. The trouble, however, was that many people misunderstood what pain control was all about. It meant improving pain, not necessarily bringing pain levels down to "0" on a 0-10 scale. Elimination of pain is not always possible. With that came pressure on the health care system to live up to unrealistic expectations. While JCAHO did not tell healthcare providers how to treat pain, concern was raised over materials the Commission distributed that were sponsored by Purdue Pharma, the pharmaceutical company that makes OxyContin. The materials minimized the link between opioid medications and addiction. Pharmaceutical representatives for the company went so far as to say that the risk for addiction was "less than one percent" when it was long known that the risk for abuse in non-cancer patients could reach as high as 50 percent. In fact, Purdue Pharma was later found guilty of misleading marketing practices and fined $634 million. It is important to note that the Joint Commission no longer distributes those materials to healthcare professionals but had the damage already been done? JCAHO states that prescription opioid use was on the rise before they released their statement but it is important to note that it continued to rise in the aftermath of the pain scale. In 2006, the Centers for Medicare and Medicaid Services (CMS) initiated the Hospital Consumer Assessment of Healthcare Providers and Systems (HCAHPS). The survey was used as a way to assess hospital performance and was completed by patients based on their experience during their hospital stay. HCAHPS includes questions about pain control: "How often was your pain well controlled?" and "How often did the hospital staff do everything they could to help with your pain?" The responses are subjective and do not necessarily represent what the patient actually received for pain control or if the care was the most medically appropriate. A patient who expected "0" on the pain scale could rate a hospital with a low score even if his pain was much improved over his stay. Still, it was a step in the right direction to hear how patients perceived their care. The problem? HCAHPS scores were linked to hospital reimbursement rates. CMS would pay hospitals more if they had higher scores. While CMS claims the pain control questions contributed little to payment, the fact is that they were included. The concern is that some healthcare professionals may have felt pressured to prescribe opioids to achieve higher scores. Aware that HCAHPS could have contributed indirectly to increased prescription opioid use, CMS has since removed the pain control survey questions from their reimbursement model. The data continues to be collected, however, to help hospitals improve quality of care and pain control. A 2016 study in JAMA Internal Medicine raised eyebrows when it revealed that Medicare beneficiaries were being prescribed a disproportionate amount of opioid medications after hospital stays. Specifically, researchers reviewed hospitalizations for approximately 623,000 Medicare beneficiaries in 2011. These beneficiaries were not previously on opioid medications, at least not for the 60 days preceding their hospital stay. Nearly 15 percent of them filled a new opioid prescription within one week of hospital discharge and 42.5 percent of them continued on those medications for longer than 90 days. For anyone who questioned whether HCAHPS affected prescription patterns, the study showed a modest correlation between inpatient satisfaction scores and new opioid prescriptions. Another study, this time in JAMA Psychiatry, also showed a concerning trend. Data from Medicare Part D was assessed and it was found that 6 in 1,000 Medicare beneficiaries have an opioid abuse disorder. This is a six-fold increase compared to people on other insurance plans. 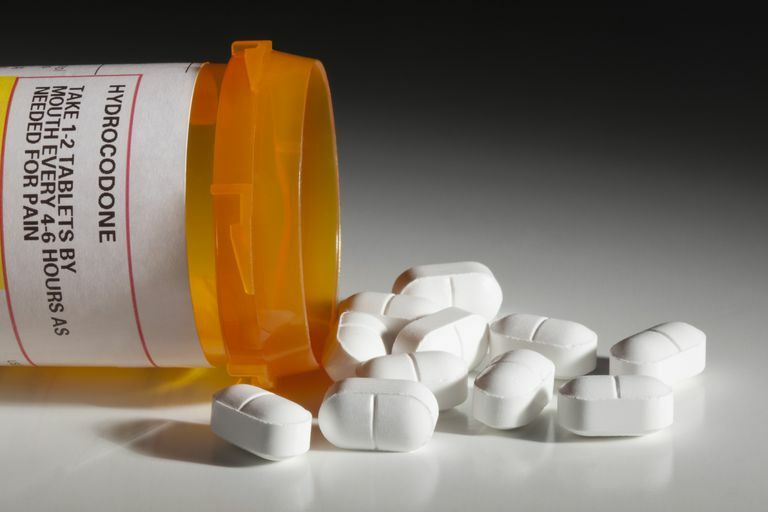 Why are Medicare beneficiaries more prone to opioid abuse? Do they truly have more chronic pain? Are they more likely to be put on opioids because, as seniors, they tend to have more hospitalizations? In that regard, is HCAHPS to blame? More investigation is needed so that we can get at the heart of the problem. We need to not only prevent opioid abuse but also the complications that surround it. What Can We Do to Stop Opioid Abuse? The opioid epidemic does not belong to any one group. Multiple factors led to this state of affairs, and collaboration between the government, pharmaceutical companies, insurance companies, healthcare systems and healthcare providers will be needed to make effective changes. These steps may help to move us in the right direction. Policies and regulations should not allow reimbursements to healthcare systems based on patient satisfaction scores that may relate to prescription drug use. This could shift prescription patterns in a way that favors higher payments to hospitals. Research needs to be done to develop newer less addictive pain treatments. Pharmaceutical companies and others need to invest money to increase available options. Insurers need to expand coverage of alternative pain therapies. Acupuncture, biofeedback, massage therapy, and physical therapy, for example, have shown benefit in improving pain levels but insurance does not always cover them. Healthcare providers may need additional training when it comes to pain management strategies and use of prescription opioids. Other pain therapies should be considered before opioid medications whenever possible. Using opioid therapies first-line is more likely to lead to continued use of those medications. Access to rehabilitation programs (counseling, medications, etc.) that promote recovery from opioid abuse needs to be improved. People need help but limited resources are available to address the magnitude of the problem at the present time. HHS Announces New Actions to Combat Opioid Epidemic. U.S. Department of Health and Human Services website. http://www.hhs.gov/about/news/2016/07/06/hhs-announces-new-actions-combat-opioid-epidemic.html .Published July 6, 2016. Jena AB, Goldman D, Karaca-Mandic P. Hospital Prescribing of Opioids to Medicare Beneficiaries. JAMA Intern Med. 2016; 176(7): 990-997. doi:10.1001/jamainternmed.2016.2737. Joint Commission Statement on Pain Management. The Joint Commission website. https://www.jointcommission.org/joint_commission_statement_on_pain_management/. Published April 18, 2016. Prescription Opioid Overdose Data. Centers for Disease Control and Prevention website. http://www.cdc.gov/drugoverdose/data/overdose.html. Updated June 21, 2016. Zee AV. The Promotion and Marketing of OxyContin: Commercial Triumph, Public Health Tragedy. Am J Public Health. 2009 February; 99(2): 221-227. doi: 10.2105/AJPH.2007.131714.